WILLIAM R. SCOTT--Jonathan Scott was born January 26, 1816 in Fayette County, Indiana. On the 4th of January, 1845, he came to the then new and undeveloped wilds of Wabash County, and settled in Liberty Township. On the first of November 1840, he was married to Mary Pearson, daughter of Mahlon Pearson who was born in Granger County, Tennessee, August 18, 1824. Mr. and Mrs. Jonathan Scott raised a family of three children, two sons, and one daughter. 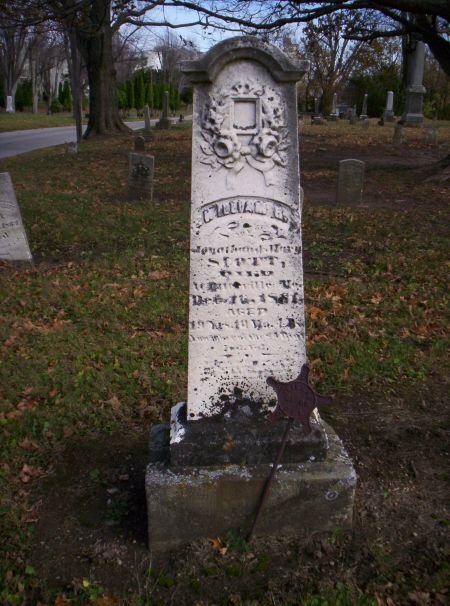 Both sons served in the war of the Rebellion, and the older one, William, died in the service of his country at Otterville, Missouri, December 16, 1861. William was 19 years old when he died. His Find a Grave memorial can be found here.